StayDry® Basement Waterproofing is #1 in reliability and customer service. StayDry® exclusively installs the patented HYDROFLOtm System which has been tested and proven since 1972. 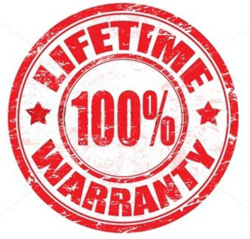 Our workmanship speaks for itself, but in case that’s not enough, StayDry® Basement Waterproofing also offers a fully transferable LIFETIME WARRANTY on all of our Interior Waterproofing. We confidently stand behind our Interior Waterproofing and Poured Wall Crack Injection for the life of the home, regardless of ownership. All areas waterproofed by StayDry® are warranted to stay dry. StayDry® does not charge a maintenance fee for this warranty, once the area is waterproofed it is warranted for life. *Please see contract for complete warranty details and exclusions. Click here for printable version of the warranty. Considering the lifetime warranty, which is fully transferrable, having your Michigan home’s interior waterproofed is highly recommended. Not only will you protect yourself, your home, and everyone inside from the dangers and effects that often accompany basement floods, but you’ll also increase your home’s resale value should you choose to put it on the market. Regardless, our interior waterproofing services will prevent damage to your home and keep it safe. Preventing damages is always far easier and cheaper than repairing such, so give us a call today for your free estimate! You can reach us a 800.800.7073 or contact us here to schedule an estimate or learn more about our warranty options.